I know you are having a hard time getting your skin and hair on track, so do I. There is a list of issues like Dry scalp, frizzy hair, dandruff, dead skin, pimples, acne scars, pigmentation, dark circles which are closely associated with your skin and hair, and after long research & using different products I am here to share my experience with you. Genuinely, if my skin hadn’t given me trouble in my early 20s, I wouldn’t care about skincare products at all. So I want tell you about that one product which cures all your problems with a single solution and tons of benefits. Ayurveda is back people… something that had lost its existence. An Indian company “Patanjali Ayurveda Limited” driven by Baba Ramdev has introduced organic and ayurvedic products into the market and believe you me, they are soooo good. And let’s be real guys, at the end of a long tiring day, every one of us needs to get rid of all the nasty chemicals off our faces. So why not give Ayurveda a shot for a change. You could begin with taking one tea spoon of aloe vera gel, one tea spoon of castor oil, two tea spoons of coconut oil. I sometimes like to add one capsule of Vitamin E tablet for better results. Start with a dry scalp and apply this mixture part by part on your scalp and not your hair. Comb the oil through your hair until it reaches all the roots. I prefer keeping this oil overnight. But its upon you. You can keep it for an hour before taking a shower or whatever suits you better. Rinse your hair with tons of water and comb simultaneously in all directions. This helps in strengthening the roots and reducing the ugly amount of hair fall. But also don’t overdo the combing part. I go for my favourite shampoo to wash off the remaining oil, followed by patanjali conditioner which leaves my hair smooth, healthy and it smells great too. Of course the fragrance matters. I know a few people who use aloe vera gel as a hair serum and it proved useful for a few of them with frizzy hair. Warning! 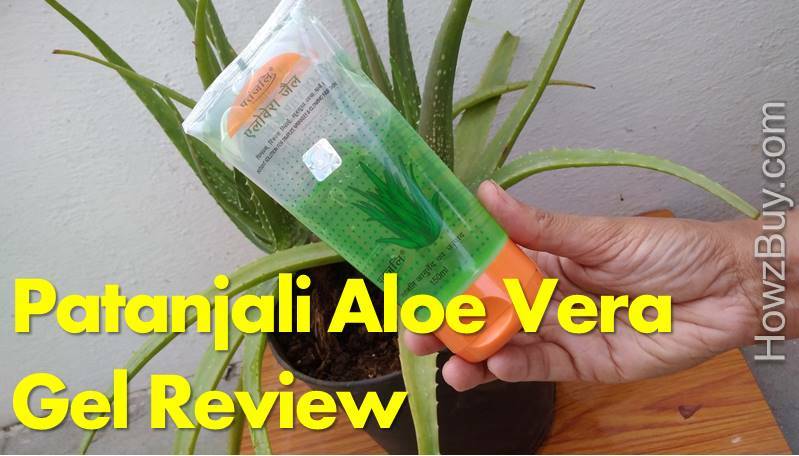 With some people, if aloe vera in its natural form or the Patanjali aloe Vera gel causes redness, rashes, irritation, itching, then throw it away and don’t turn back. What’s great about Patanjali aloe vera gel is that it can be used for all skin types, then be it dry or oily or normal or whichever. While testing this aloe vera gel on my skin, I got an idea… why not mix one capsule of vitamin E and them spread it on my face, and then waking up to a glowing face is like a dream come true. One of my friend’s skin did not agree with the Vitamin E. So of course taking a test and checking what suits your skin perfectly doesn’t hurt as much as those filthy rashes due to carelessness. And let’s face it guys, not everything suits everyone the same way. I’ve used the crap out of this product and it’s so useful in different ways. And for a product like this, which deals with all your troubles, money is just a number. If you ask me, this is the best price anyone can get for such an effective product. It’s hot as hell as the summers are on and there’s no stop to the skin tanning. And the difference between the tanned skin and the normal skin is OM MY GOD.. all I do is get hold of the gel, which I usually carry in my bag as it is handy and spatter it on the skin tanned or sun burned areas. The relief is something you should experience on your own. It’s a ” can’t be shared “ kind of a feeling. It does the work of a moisturiser as well. But you need a sunscreen with good SPF without any doubt. Don’t even get me started with the amount of dark circles under my eyes. It’s kind of heart breaking to see those dark spots happily sticking under my eyes when I struggle to get rid of that crap. Patanjali aloe vera gel came to my rescue. Ohhh my super hero. You need to dab that baby under your eyes every night and see how it brings a beautiful change on your even more beautiful face. The other day when my mommy was cooking in the kitchen, she accidently burned her hand and undeniably burns are always painful which leaves an obnoxious scar. Aloe vera gel saved mom from a painful scar. Evidently the mark doesn’t go off in a day. It takes time. Stretch marks are not a new thing for all you ladies out there. And you can’t deny, it’s a headache finding a good product to remove these horrible marks. Don’t look here and there now. Take that aloe vera gel and start massaging over your hideous marks. That will do the trick. Of course it’s going to take time and patience. Genuinely speaking I have not tried this method for myself yet, but I did a research for you guys and based on that I’m writing this. You can add a capsule of vitamin E to the aloe vera gel or add lemon juice to aloe vera gel or castor oil plus aloe vera gel will also serve you with some good results according to my research. If the marks are fresh the marks will vanish off all together with time of course. And if it’s been for a while, like mine are, it is going to take a while and don’t forget the dedication and patience required. Though in 20 to 30 days, you can see a difference. As this is an organic product there’s clearly no question of side effects as far as no one is allergic to any of the products mentioned. And so here’s a word of caution. You need to check whether you are allergic to aloe vera or vitamin e or castor oil or any one of the products mentioned in this review. So it’s a win win situation for all of us. Undoubtedly it’s the best product I’ve used till date. And as it works marvels on all skin types it’s recommended to all my viewers. The answer to all your worries is just one click away. Grab this opportunity and start the repair process right away. You won’t regret it, trust me.